There is new scam circulating which you may encounter in your browser. 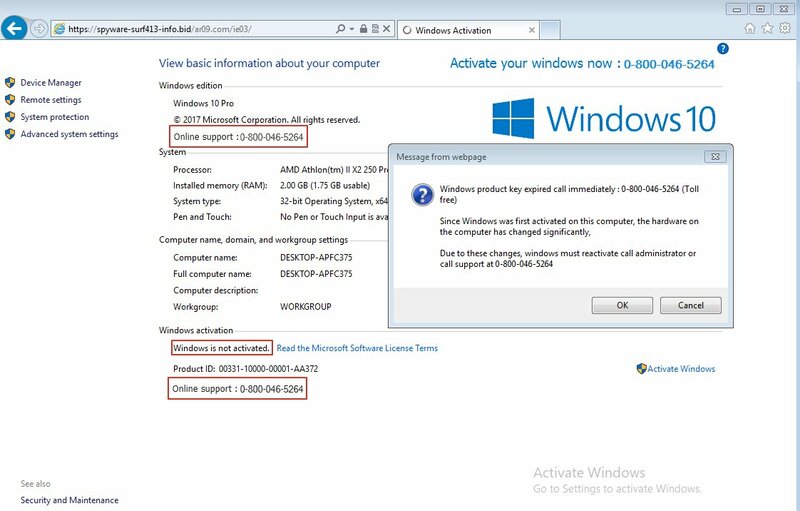 It creates a convincing Windows screen asking you to activate your copy of Windows 10. Do not call the number - in this case it's a USA number but I am sure a UK version will appear soon. Here is what it looks like. How can I tell it's a scam? The page is being displayed in a browser window (IE) not the window in which the computer's properties are normally displayed.